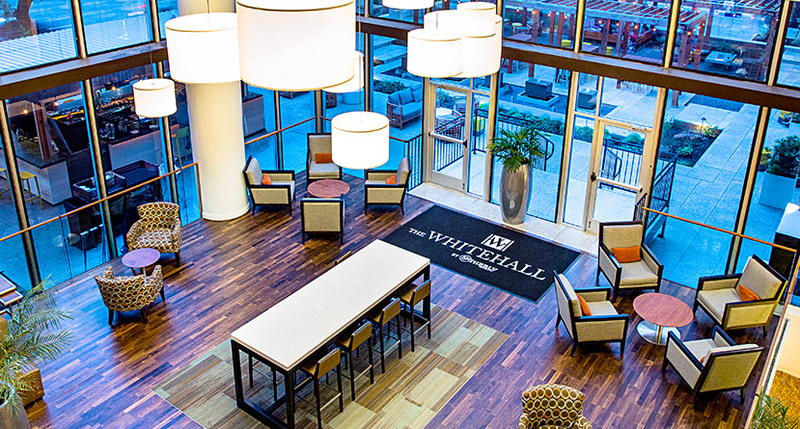 At the award-winning Whitehall, it's our pleasure to offer a unique experience that blends the intimate quality of a boutique hotel with modern living amenities and unique southern hospitality. We look forward to hearing from you. Available upon request throughout the Downtown area. Available 7:00am- 10:45pm, 7 days a week. Take I-45 South to downtown. Exit Take Exit 47D Pierce/Dallas, veer left onto Jefferson St. and go through Brazos St. light. The Whitehall is immediately on left. Take I-45 North to St. Joseph Parkway/Downtown Destinations Exit and stay to your right. Exit will turn into Pease St. Drive approximately 10 blocks to Smith Street. The Whitehall is immediately on left on the corner of Pease and Smith. The closest Metro LightRail station is 4 blocks from the hotel. Houston's 7.5-mile light rail system connects downtown, Midtown, the Museum District, Texas Medical Center and Reliant Park.